How about making your own priceless rings, bracelets, or necklaces as well as unforgettable memories in Myeongdong University of Rings? This is highly recommended for those who want to have their own one and only present in the world. University of Rings is unique crafts café where you can make 99.99% silver rings, bracelets, or necklaces by yourself. 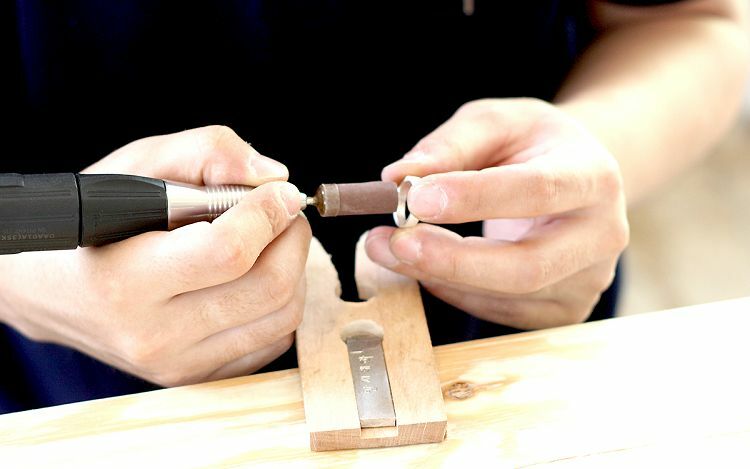 Since instructors majored in jewelry-craft, you can make rings by yourself and have one and only special present under the professional guide. A custom-made ring will remind you of all the memories in Korea from now on! It is very popular with couples because they can make rings more valuable and special than ordinary rings bought in stores. • Make priceless gifts for your loved ones! • You can select one among a variety of designs prepared in store! • Carve your loved one’s name and give it to the person! • It takes about 2 hours and 30 minutes to 3 hours. 3. Present voucher and start making. 1. Under characteristics of the University of Rings, the first customer to make a ring needs to be coached from beginning to end. Because it is hard to teach one by one if too many people come at once, the studio is accepting reservations so that there is no overlap in time with other reservations.If your reservation cannot be made at a desired date and time for such reason, our CS Team will contact you via email. 2. For foreign customers, English / Chinese / Japanese instructions are prepared on the studio. Instructors do not speak foreign languages. 3. Please make a purchase of 3.8mm or 4.5mm width ring on-site. 4. If there are less than the minimum number of people, the reservation can be canceled, and our CS Team will e-mail you.